Dr. Edmond is great. She takes the time to listen and has practical suggestions. 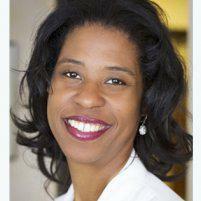 Dr. Edmond is always very thorough, and I feel comfortable talking to her about all of my medical needs. Perfectly on time, present, attentive, such a great provider and office in general! I love Dr. Edmond! I had my first visit with her and she was so informative and really fun to talk to. Treats her patients like she actually cares about them and giving the best advice possible. Dr Edmond was very friendly and actually looked at me instead of staring at her iPad! Refreshing with all these doctors heads in their computers!! Super informed and took my questions seriously. Awesome experience. Will be back! She is a good doctor! Dr. Edmond was very helpful with my questions and made me feel very comfortable during my visit. More like 1,000 stars! Definetly go see her she’s amazing!!! Dr. Edmond is very patient with listening to my needs and providing solutions. DR. Edmond was great, very knowledgeable and her staff was very nice. Compassionate, Professional & thorough! Great practitioner’s office overall! Dr. Edmond was very focused on my concerns and gave me clarity with my concerns. She gave me the explanations I was looking for in regards to a woman’s anatomy. I love Dr. Edmond so much! Dr. Edmond is both caring and efficient. She thoroughly answers all of my questions and concerns without judgment and is helpful when it comes to specific health issues I’ve had. Also her staff are friendly, kind, and super professional. I highly recommend Dr. Edmond and her whole team.